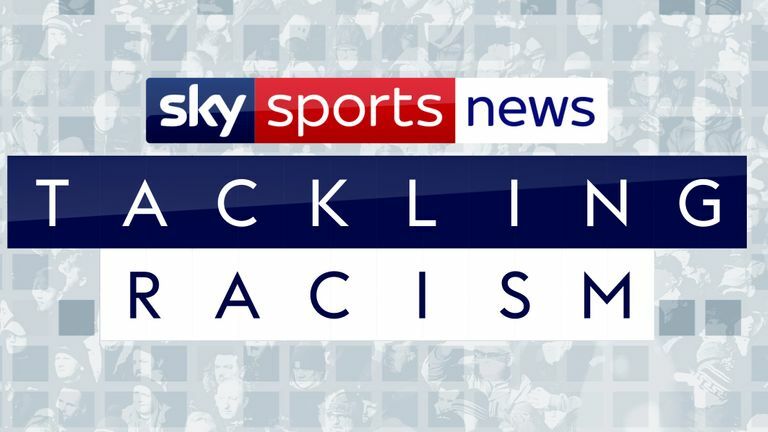 The Metropolitan Police’s investigation into allegations of racist abuse aimed at Raheem Sterling in December remains ongoing. The force have confirmed to Sky Sports News that they are continuing to work with both clubs and a number of enquiries are ongoing into the incident that took place during Manchester City's clash with Chelsea at Stamford Bridge late last year. Officers are reviewing footage and CCTV to determine whether any offences have been committed, and they are in possession of the details of those reportedly involved. There have been no arrests at this time, the Met have confirmed one person was interviewed under caution back in December. On Monday, Manchester City's chief operating officer Omar Berrada praised Chelsea's efforts in tackling the allegations. He said: "Chelsea have done a very good job at demonstrating that it is something that won't be tolerated anywhere in football. In that sense we were very aligned. There was a really good collaboration between the two clubs to tackle this issue. "It was a terrible situation to be in. We as a club offer all types of support; both from a moral support ensuring that Raheem felt he had the backing of anybody at the club, and we also have worked together with different stakeholders to ensure we provide as much information so they can carry on their investigation." Chelsea suspended four people from attending matches in December while investigations are taking place.